I am a late bloomer when it comes to reading books. Except for text books and occasional Secret Seven pickups from our school library, my childhood was very pretty unadventurous. Then a time came when I was living all by myself in a foreign country and a stranger (who later became my roommate and a good friend) inspired me to delve deep into a regular reading habit. It started small and now, it has become an integral part of who I am. It took me beyond just pure literature. Reading (especially food fiction) helped me develop an awareness that is very hard to describe or put in words. When I read a recipe now, I can imagine myself cooking one step at a time and almost taste an imaginary version. 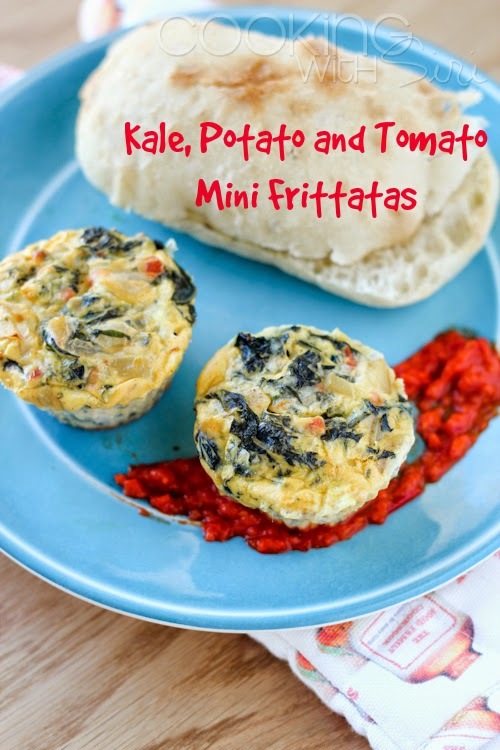 :-) Today's recipe - Kale, Potato and Tomato Mini Frittatas is I must say an upgraded version of a potato chip topped frittata I usually make for breakfast. 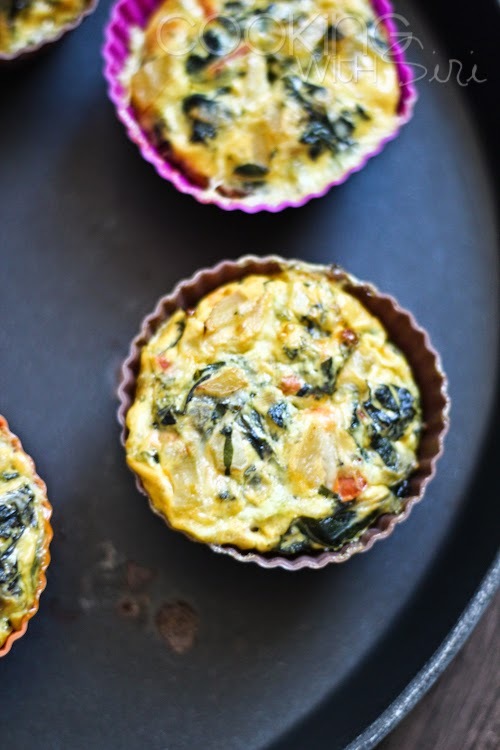 If you don't have muffin cups, simply make an omelette out of the egg mixture and you are good to go! If you are into books just like me and looking for some inspiration, then let me make a recommendation for you - Monica Bhide's 'A Life of Spice'. It is a lovely collection of essays that give us a good glimpse of her childhood and how she fell in love with food. What struck me the most is the book cover which features my favorite spice - a star aniseed! The style of her writing reminds us of those animated and delightful conversations we usually have with our grandmothers and aunts in a kitchen. I read the entire book in one Saturday afternoon with a cup of chai in one hand and a plate of cookies in another. This book doesn't have any recipes but even then I was left very hungry by the end. Preheat oven to 375 F. Grease muffin cups with butter and set aside. Heat olive oil in a pan and add chopped garlic. Once it starts to sizzle add thinly sliced onion. After 2 to 3 minutes, add potatoes and saute until they are slightly falling apart (in about 6 to 7 minutes). Then add tomato and cook for 2 more minutes. 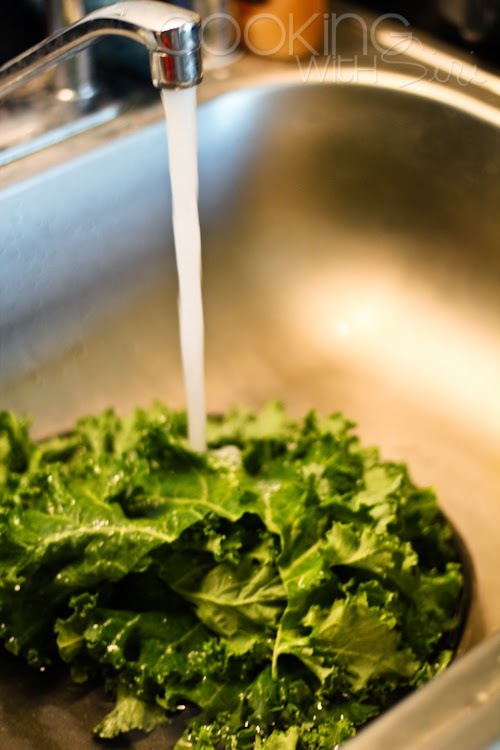 Add chopped kale. After the greens are wilted, season with salt and pepper. Turn the heat off. Sprinkle with lemon juice. Allow it to cook to room temperature. 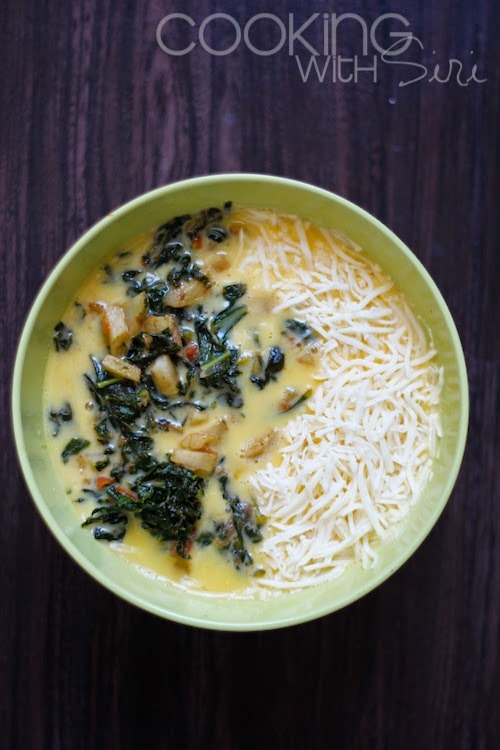 In a bowl, whisk together - eggs, kale mixture and cheese. Fill each of the muffin cups with egg mixture (about 1/3rd per cup). Bake for about 9 to 11 minutes or until eggs are well done. Unmold from the cups and Serve warm. 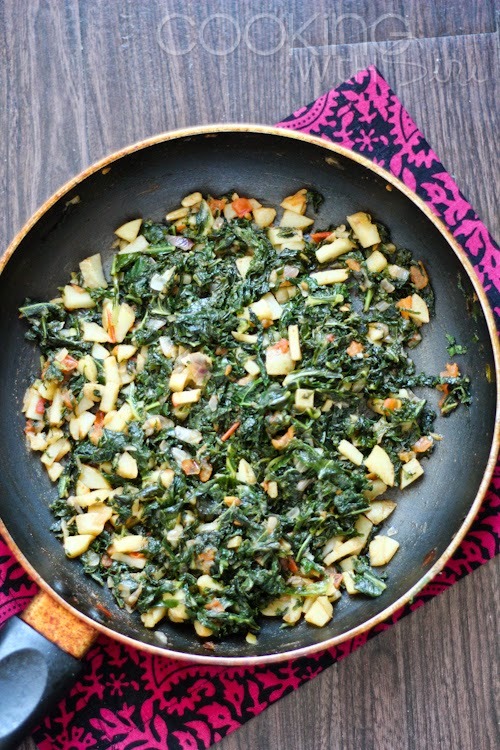 Alternatively, the egg-kale mixture can be made into an omelette, once set - add cheese in the middle and cook until it melts. Yum!